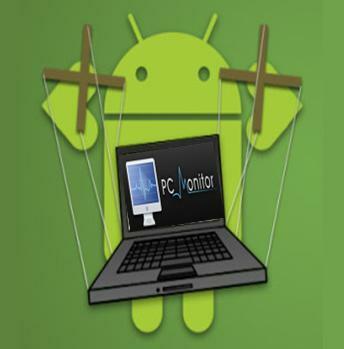 If you want to keep track of your PC and you are away from it, you can do it from your Android device easily. All you need is an Android device which is compatible with your PC Monitor app and a good internet connection. This article will help you to understand the procedure of how you can control your computer from an Android device with PC Monitor. You need to have Android 2.1 or a latest version, a Google account and a good network connection. Furthermore, it is preferable that you have a 3G or 4G connection. However, if a WiFi connection is in your range, it will be sufficient. Go to ‘Google Play’ and search for ‘PC Monitor’ app and download it. You need to go through the permissions also before selecting the ‘Install’ option. Please ensure that your PC has a network access. Download the software application ‘PC Monitor Manager’ from mobilepcmonitor.com, after selecting the operating system version you have (32 or 64 bits). After downloading the application, install it and then open it from any shortcut which you have made. Now, you have to create a user account which will be used to get connected to more than one PC at a time. Please make sure that that you can remember the information before validating that it is right and clicking on ‘Create’. After clicking ‘Create’, ‘Email Validation Code’ box will appear on your screen. After your have recovered the code, you have to enter it into the space which has been provided. After validating, you will have to configure the initial settings for your PC Monitor Manager. Give your PC a name which you can remember. Then, press “Okay” to start monitoring your computer. Open PC Monitor from your Android. Now, it will ask you to enter your username and password. Type the same information here which you used for your computer during the installation of PC Monitor. You will be able to see the name of your computer on the screen of your Android and you can start monitoring by tapping on it. You can also add more than one PC in your monitoring list by simply making multiple user accounts on your computer.